Raintree challenges the traditional office block architecture, with a green exterior incorporating clean lines and an understated elegance. The project offers a professional environment that is simultaneously friendly and creative, with workspace that fosters productivity, collaboration and innovation. The Core comprises 3000 square metres of office space with units that can be combined starting from 50-900 square metres available for short or long-term rental. 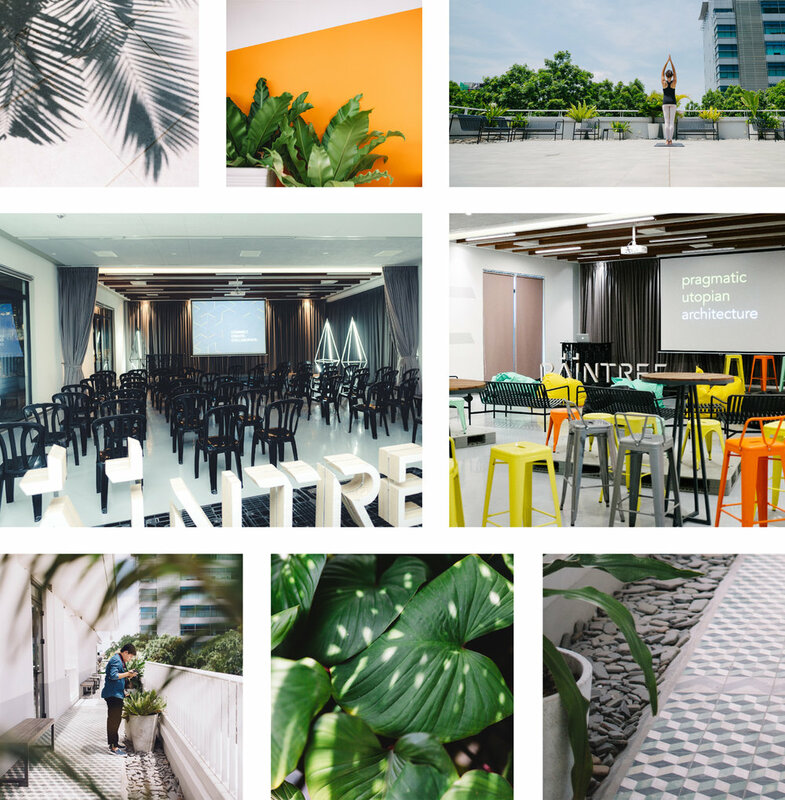 The project's event spaces provide an alternative to the classic ballroom or hotel function room. The Canopy indoor space comprises 300 square metres that can be adapted for the simplest of workshops to the smartest of business receptions for up to 200 people. The Crown rooftop terrace can host mid-seminar lunches or a beautiful sunset cocktail, and welcome up to 150 people. From tech hackathons to annual board meetings to creative workshops to children's birthdays, the Canopy and Crown can transform to fit any event.